For the third year in a row, Baron is once again honoring the spirit of his favorite holiday, Canada Day. Also, we all know Baron is extremely Canadian, despite the fact that I'm NOT Canadian myself. This year's Canada Day picture seems quite different from the other two. Unlike the other two, which showed him holding the flag, Baron just wears the flag as a cape and he is even shown wearing a t-shirt with Canada's flag on it. What's also different between this year and the past two years is Baron's new design being shown in this picture. Also, the background returns to the image, but unlike the 2011 one, the 2013 one is more detailed and the red beaver is seen standing on the snow instead of the grass. 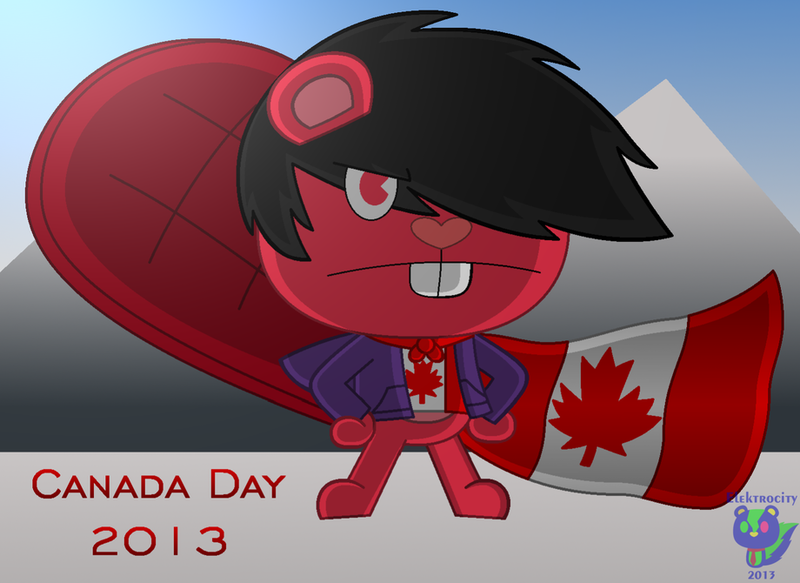 One more thing, have a Happy Canada Day, even though it's a day early.